As a well-known online real-time conference app, GoToMeeting is developed by Cityrix in 2004, aiming at building a bridge for user connection. It makes idea-sharing and conference-conducting possible so that you don't have to show up in your office meeting room punctually. However, what is necessary is that you would like to record the whole conference process for future reference. Under this circumstance, you can focus on listening and discussing during the meeting without taking notes to write down key points. Alternatively, if there is a GoToMeeting webinar recording, people who are absent from meeting or participates who require a demonstration will be delighted, which makes meeting memo easier. 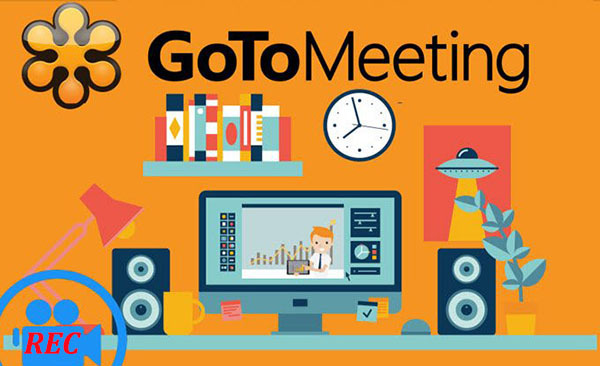 Though GoToMeeting is equipped with built-in recorder, it comes with some annoying problems, such as saving recorded GoToMeeting webinar to computer complexly, displaying blank screen on capturing, shutting down suddenly when hard disk capability is less than 100MB, etc. Hence, it is high time that you should look for other workable and practical recording tool to capture your GoToMeeting webinar. Doing well in capturing GoToMeeting Webinar as well as any other desktop screen video activities, Joyoshare Screen Recorder is widely used as one of the most advanced video recorder. 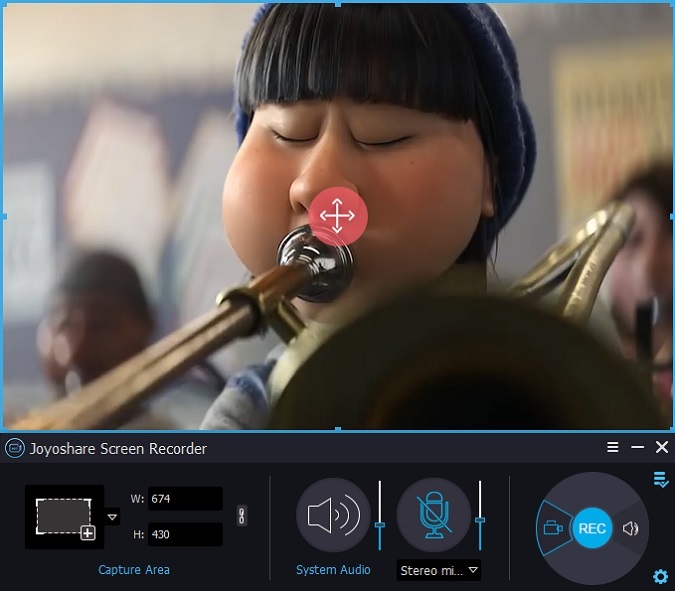 Similar to other types of screen captures, Joyoshare Screen Recorder is well designed with top-leading screen recording technology, which can at the same time record not only videos but also audios on your computer’s screen. It facilitates you to grab GoToMeeting webcam conferences, record Skype video calls, capture streaming music, make online movie recordings, take vivid game tutorial, etc. 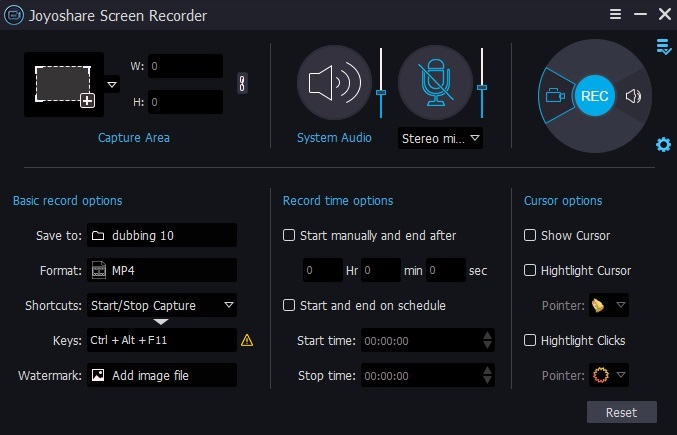 Consisted of video recorder and audio capture, Joyoshare Screen Recorder is available to record GoToMeeting webinar video and audio track simultaneously, which can save captured file into any output format and devices. 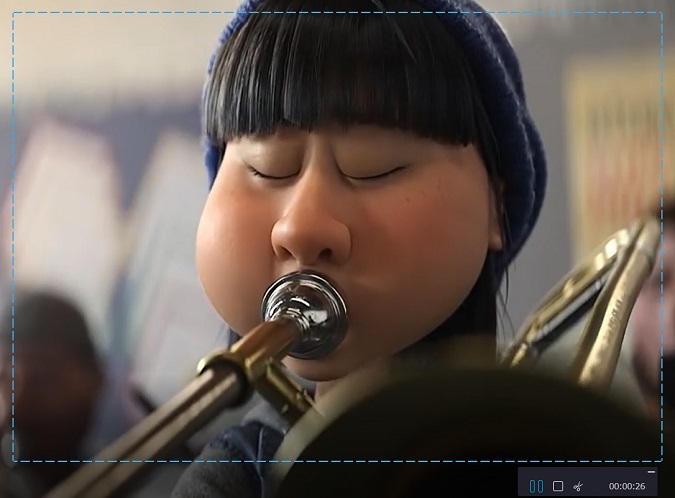 To serve as video capture, it enables you to output GoToMeeting webinar recording to M4V, MKV, MOV, MP4, WMV, AVI and more other formats, which can be enjoyed on different popular devices, like iPhone, Andriod, Xbox and smart TV. To perform as audio recorder, MP3, AAC, WAV, FLAC, M4A and M4B are supportable. Joyoshare Screen Recorder can cater to a large number of users because of its diversity. 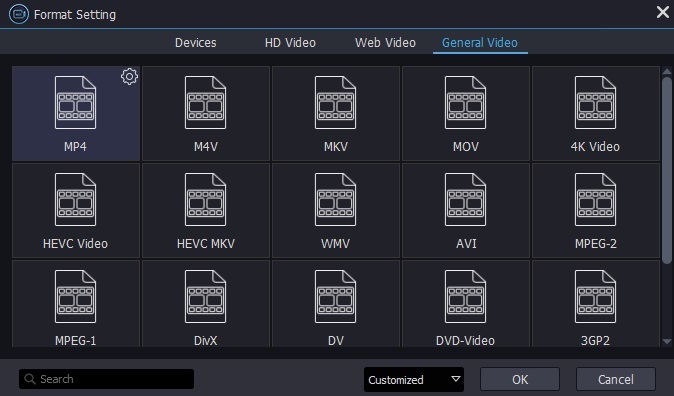 It offers ability to customize capturing area at will, choose output format, take any screenshots, utilize shortcuts, preset a scheduled task in advance, split video to several segments, edit destination files, etc. Of course, you can make any GoToMeeting webinar recording based on your own demands. How to Record GoToMeeting Webinar with Joyoshare Screen Recorder? Before your GoToMeeting webcam conference begins, go straight to run GoToMeeting on your desktop screen as long as you have downloaded and installed it. Move it to a specific place with clear background. To make GoToMeeting webinar recording, go for the official website to download Joyoshare Screen Recorder and finish installation on your own PC. In the "Capture Area" section, you will see a "+" button, which is designed to select recording area. There will be a pop-up window to let you adjust a screen area by zooming in and zooming out. Except capturing area adjustment manually, it is also supportable to enter an exact number on the ratio frame or straightly choose the standard ratio, for instance, 320x240, 640x480, 1280x720, full screen, etc. To record GoToMeeting webinar, Joyoshare Screen Recorder is capable of assisting you to remove the noise by disabling system voice or microphone sound, which can avoid intervention during your recording process. Additionally, Joyoshare Screen Recorder is able to capture both GoToMeeting webcam conference video and audio synchronously. In this case, you can set this option according to the actual situation. Note: It is accessible for Joyoshare Screen Recorder to perform as an independent audio recorder. If you need to make use of this function alone, simple click audio icon next to the red button "REC". There are a wide range of options provided by Joyoshare Screen Recorder. You have right to choose ideal output format, set a scheduled task by creating a specific start time and end time, trim video into different segments, etc. When the GoToMeeting webcam conference begins, click "REC" button to capture it accordingly. Any screenshots can be taken at any time so that you can keep the key points conveniently. All captured GoToMeeting files are saved in the list of "History". 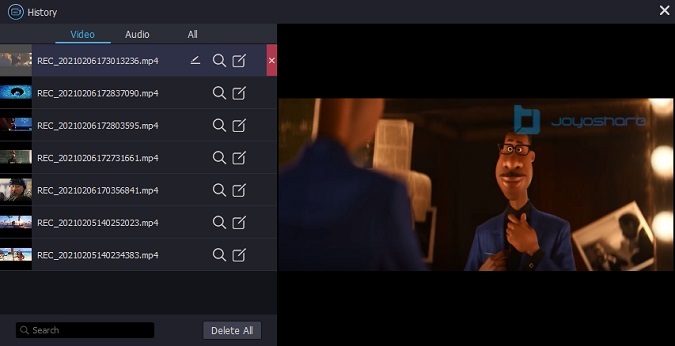 It allows you to preview file and edit its name. If you want, you can revise the ID3 tags information as well.